Employees at Dubai International Airport were in for a royal treat this morning. His Highness Sheikh Mohammed bin Rashid Al Maktoum, Vice President and Prime Minister of the UAE and Ruler of Dubai, carried out an inspection at the airport. Dubai Media Office tweeted on their official handle, stating that the purpose was to "inspect facilities and procedures at Dubai International Airport". 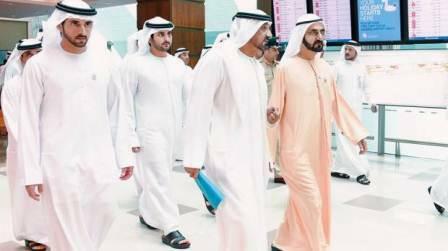 Sheikh Mohammed also "directed officials to raise the bar in welcoming travellers and simplifying procedures" at the airport.